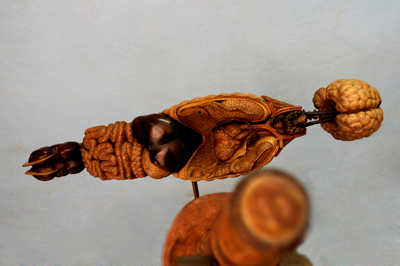 We were recently introduced to this Cuban carver, Salvador Galindo Ruiz, by Sara Liviero, who became acquainted with the man and his work after stumbling upon his workshop during a recent trip to La Habana. 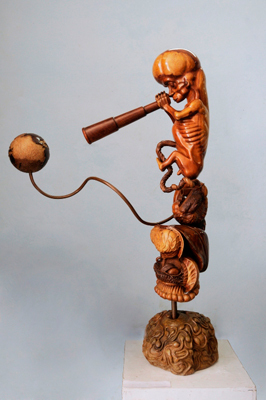 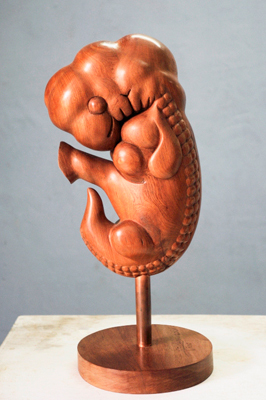 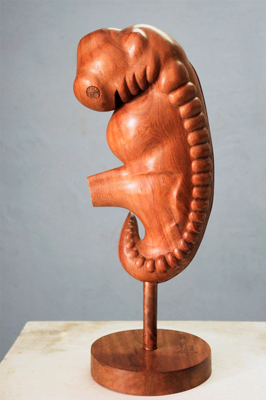 We hope soon to catch up with Galindo for a full profile in Woodcarving magazine, but for now we'd like to whet your appetite with some of his distinctive carvings, which often incorporate foetal forms. 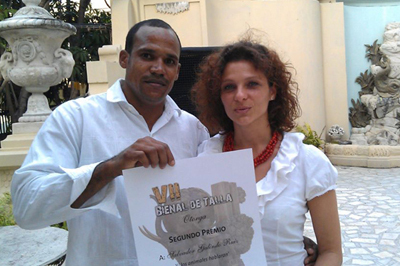 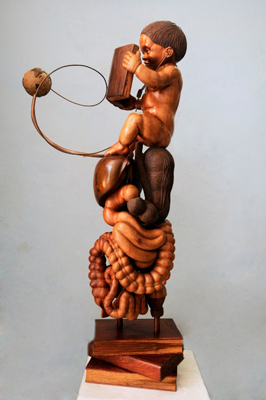 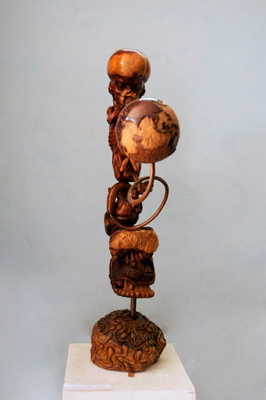 Galindo is a self-taught sculptor, born in August 1976, in Palma Soriano, a province of Santiago de Cuba, and currently residing in the village of Casablanca, La Habana. 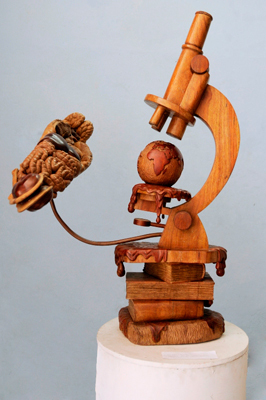 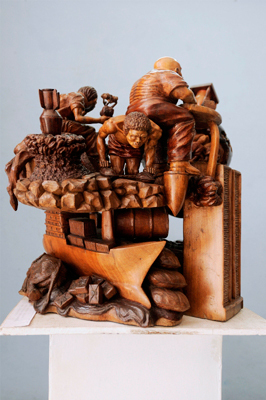 His talent and ability to sculpt wood saw him decorated in six national wood sculpting events, two of which he won first place in. 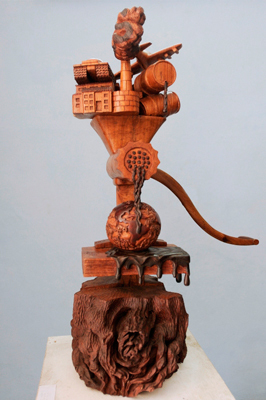 He also won the first prize at Heber Biotec S.A. in the Biennial Domingo Ravenet, and the Best Work at the Salon Mensaje y Calidad ARTEX S.A. 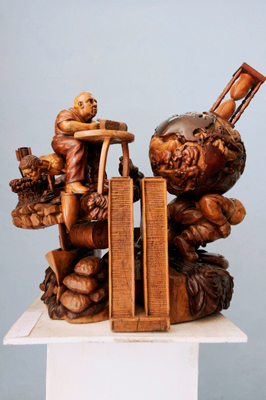 He is also a painter, and cites Michelangelo as his idol in both crafts. 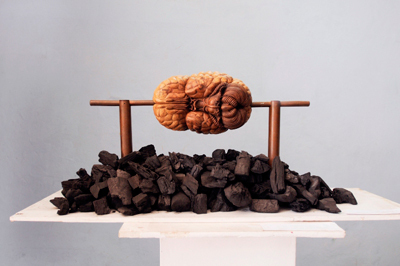 He has participated in 23 exhibitions from 1996 to date, and as well as having work on public display, various pieces of his work are found in private collections all around the world. 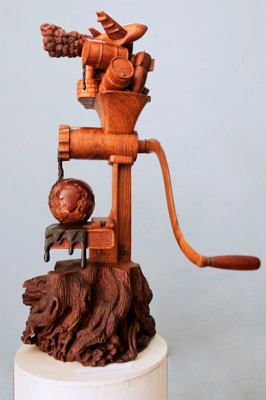 Stay tuned for more on this talented carver and his idiosyncratic style.